It’s probably no surprise that my most read blog post to date has been the post on growing your following. A lot of us are either trying to do just that or at the very least we are interested in how others have done it and made it a career. Earlier in the year I held a few workshops sharing my knowledge and experience on this process but since I made the decision not to do anymore workshops, I thought it would be interesting to find out how other people have achieved amazing things within the Instagram and blogging community. Whether it be their growth, their endless creativity or their ability to spread the word about something they are passionate about all through the use of Instagram. It seems only fitting to start my first interview with Sally from Getting Stuff Done In Heels, who, even though she may not know it, has been a massive source of support over the last few months to me. I sometimes have a wobble over whether to continue blogging and she has always encouraged me selflessly. She has an impressive following over on her Instagram, her blog is funny and stylish. She shares a wonderful mix of interiors, fashion and some of her heart felt experiences. Most importantly she has a really stunning front door – something that I base a lot of my friendships on. Why did you start your Instagram and blog? And which came first? I had Instagram a couple of years before I started the blog. The blog really came off the back of my ‘micro blogging’ on IG, lots of people were asking me to write more, so I thought I should! Also, blogging gave me more room to write! Cos I do like to natter ! I love the freedom of my blog. It is also vital to have one, if you want to work with brands. It also gave me a voice, where I could share our experience of cancer. I don’t talk about it much, but if I want to, I use my blog. I am really proud to say that following my posts, over 1,000 people signed up to the stem cell register and I know of 3 matches, which would have potentially saved 3 lives. Never underestimate the power your words might have! You have an impressive following on Instagram what key things do you think have helped you get to this point? I have 37K+ followers, I think people follow for different reasons. I am primarily an interiors account, so I guess people follow me for ideas for their own home. I hope the fact that I love people, comes across. I really enjoy engaging with my audience, I am naturally nosy and interested in people, so engaging (that’s just blogger for nattering, lol) with everyone is easy for me! I hope that people follow me, because they like me! Instagram has so many different elements now. It’s no longer a platform just for taking photos. How do you use all the functions and do you think they are important to aid growth? I think, to help your account to grow organically, it’s vital to post good pictures – sounds really obvious, but there are a lot of bad photos out there. Think of your grid like a shop window, does it invite people to hang around? Do the images look clear? And write a good caption! You can post an amazing picture, but if there’s no caption, there’s nothing to engage with. Be friendly! Comment on other accounts’ pictures! Get involved. I’d never share my political or religious views, or try and push any of my views on to anyone. I think you’re on a sticky wicket if you go down that route as everyone has such firm and differing views. Remember, generally people aren’t following to fawn over you, they want to be inspired by what you are showing them. If it’s all ‘ME ME ME’ I believe it turns people off. Share great finds, reply to messages, be friend, not a show off. I know hashtags are a really good way to be found, they are also a really good way to help your followers find what they are looking for. I will always hashtag the paint colour on my walls, for instance, so people can see the paint colour in other settings. A lot of companies have their own hashtag – #BodenByMe #MyFabHome (that’s the Farrow & Ball one) – use the hashtag and the brand is more likely to find you. Equally, so will others, that like the brand you have hash tagged, and that is where you can find like minded people & start following each other. Stories are an excellent way to engage! Whatever you do, don’t be too monotone! Even worse than a bad picture! I love stories, I love nattering away as if my best friend is with me. It was weird at first, but it gets easier! Having a bad hair day? Use a filter! I quite like being a Koala. Stories are fab – no one interrupts either! lol unlike real life! (that 15 second cut off is annoying though) You might get lots of direct messages after your stories have been watched. Try to reply to everyone! I think if somebody has taken the time to message me, the least I can do is to reply. I believe you need to engage where the masses can’t see, as well as on your main feed, where everyone can read it. You can’t be publicly nice, but never reply to DMs, That’s not Instagram etiquette. So far I have never been brave enough to GO LIVE! Cara and I are planning to do a LIVE together at some point…might need a gin first! Talk me through how you take your photos? I have just upgraded my phone to an Iphone 8plus and a lot of my images are taken on it. Especially with the Portrait Feature – the one that does the Insta friendly blurry backgrounds. I also have a proper camera, which I use for jobs, and blog posts. I think the images are slightly better, but the phones are so good now, that taking a camera everywhere can just be a waste of handbag space! Do you plan your Instagram posts and blog content or is it more spur of the moment? I wish I was really organised and planned posts and blog posts in advance. Oh MANNNN it would make life so much easier! But no, I just go as the mood takes me! If nothing’s doing, I don’t post. I don’t have millions of spare images up my sleeve for a rainy day. I don’t like being spammed – especially with throw backs of ….your children… anyone’s children. (I am sorry! that’s terrible isn’t it!) But spam in general isn’t good, and people will hit unfollow if you post too many pictures in a day. Especially endless Timehop pictures, I’d keep them for Facebook, where friends and family can enjoy them! Does Instagram have an effect on your mood? If any accounts are making me feel like that, I can either unfollow, or ‘mute’ the stories, which kind of puts them in the background until you ‘unmute’ them. (you do this by holding you finger down on the account’s little red ‘story’ circle, and the option ‘mute’ will come up. I don’t like unfollowing people as I feel so mean! Sometimes I get comments such as ‘your life is so perfect’ and I don’t take it as a compliment. It actually upsets me. If anyone has read my blog they will know what a tough time we have had. The glossy square, is simply a nice picture. Have you made any choices that you look back on and feel like you should have done things differently? Growing my following has been a learning curve all the way through. 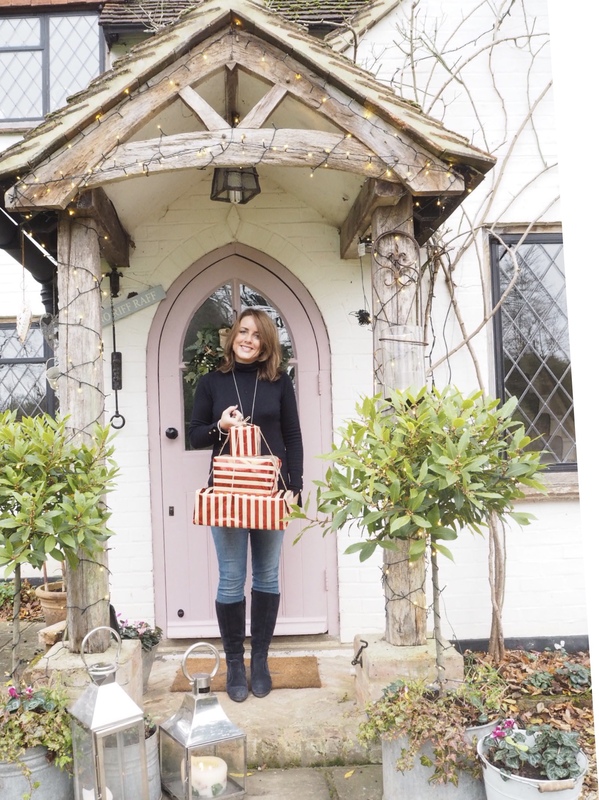 When I first started, I had absolutely no idea, it would lead to blogging, and having my online shop, working with brands and most importantly, making some really lovely friends. It has all happened by accident really! I don’t think I would have done anything differently, as I am really happy, ending up, naturally, where I am! I LOVE my (what’s turned in to a) Job! What has been your favourite achievement to date? The Berkeley hosting a champagne tea for us ! ( to explain if you missed it – 7 of us were treated to the most amazing Fashionista Afternoon Tea) Who would ever have thought that they would do that for us! My fav ‘celeb’ follower is Claridges (who are twinned with The Berkeley and The Connaught) So that is how all that came about! The 7 of us all got to meet each other and it was BRILL. Who are your favourite Instagram accounts to follow? I love so many accounts! narrowing them down would be so hard! my daily go to’s if you are pushing me, are @mamas_scrapbook, @blossomingbirds, @feathering_the_empty_nest, @thehomethatmademe, @thebretonbird, @all.thats.pretty, @rvk_loves, @huntersandheels, @sallyfazelli, @doesmybumlook40, and @chloelovestoshop– these accounts are a lovely mixture of interiors, lifestyle, parenting and fashion. If you could only offer one piece of advice on growing your following what would it be?My one piece of advice for any one wanting to grow their following? BE YOURSELF. Be inspired by, but don’t copy other people’s style. You will get found out! Find your voice, grab that confidence, and JUST BE YOU. I love Instagram for the amazing people I have found out there, the support, the inspiration, the community! I never for a moment thought that by posting a few pics on a little app, that I’d make so many lovely friends. I certainly never believed I could even ‘do’ it as a job! I hope I have given you a few little gems, to help you grow your following. 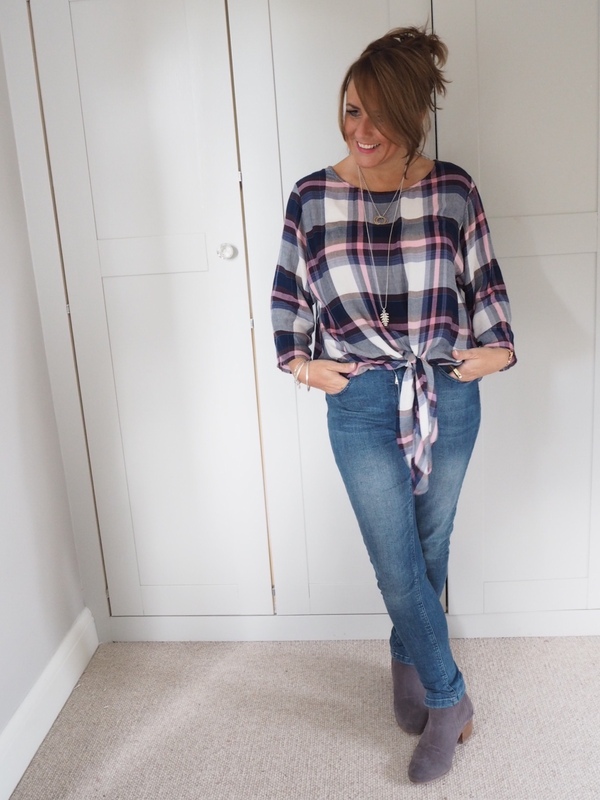 It has been lovely having my first ever guest blog post over here. If you would like to see more of Sally you can find her blog here. I find it very boring when these women are asked for their fave accounts that they just list the same women all the time. Everyone that follows you will probably have seen or follow them women because you all tag each other and so on. It’s harder to find new accounts to follow for inspiration when everyone just seems to use a standard list of names to shout out. Plus if any of these women posted a photo of one of the other women’s, you’d never notice because all accounts are so similar. B. O. r. I.n. G.
I do know what you mean, but I quite like that when I am watching insta stories you feel like these women that are all over the country are good friends. Its always a little sad to read the comments on a blog you enjoy and the first comment to be negative, there are real people behind instagram and blogs and it doesn’t hurt to be constructive in criticism. Just ask for some off the beaten track follow recommendations or some hidden gem suggestions. Thankyou for being so lovely ! The ladies I listed have all become friends through their friendliness & support over the years, it would have been a shame if I felt I couldn’t mention them just because a lot of people follow them already. Good luck with the driving !! Fab guest blog, Sally! Great advice for anyone wanting to grow their following. I’ll certainly be following the accounts you suggested at the end. Love your insta account and your stories. This is a great feature Cara & Sally! I can potentially go part time next August and one of my aims is to get a bit more organised on instagram and learn about all the photo editing apps and make it more of a hobby that I contribute too rather than something I lurke on! I love following Sally on Instagram. She’s such a happy person and she immediately makes me feel chirpier! For some reason though I’ve never read her blog – shocker! Gonna have a read later. Good luck with the driving Gemma and I’m now off to read Melissa’s blog.